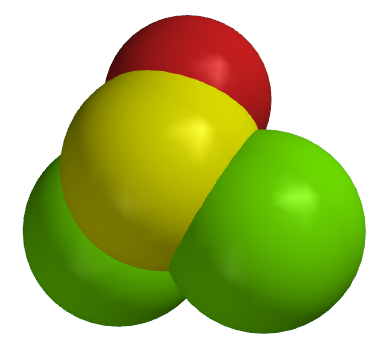 Thionyl chloride: A molecule composed of an S=O group bonded to two chlorine atoms; Cl2S=O. Useful for the conversion of alcohols to alkyl halides, and carboxylic acids into acid chlorides. 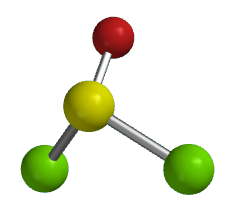 Use of thionyl chloride to convert 1-octanol (a primary alcohol) into 1-chlorooctane (a primary alkyl chloride). Use of thionyl chloride to convert benzoic acid (a carboxylic acid) into benzoyl chloride (an acid chloride).